Even the dealers seem confused. I have not received word about my car yet, but one of the other field test participants shared the news of their "arrival" message. It is a bit ironic. Subject: Your MINIe has arrived!!! This day has arrived and so has your new MINIe!!! Tomorrow our technicians will be scheduling her to have her Pre-delivery inspection. * Her delivery wash & detail. I'll be giving you a call in the morning to discuss your delivery appointment. With Peter's and Todd's permission I have added their Mini-Es to my location map. Hope to get some more of the cars out there to see what the Mini-E heat map will look like. I also hope to figure out how to set up the links on this site so I can link to other field trial participants. (ED: added the links to right). Looks like the vehicles are rolling in. With some serious press fanfare, the first Mini-E was delivered to a customer here in the Los Angeles area. Check out Peter's website for the full story. Sounds like a few other deliveries have been scheduled so we should be up pretty soon. Here are a couple photos showing off the new power station and the connector for the car. We've been out in the country for the holiday weekend. But it seems like things are coming to a head in the Mini-E world. I received email that they are making preparations for delivery. 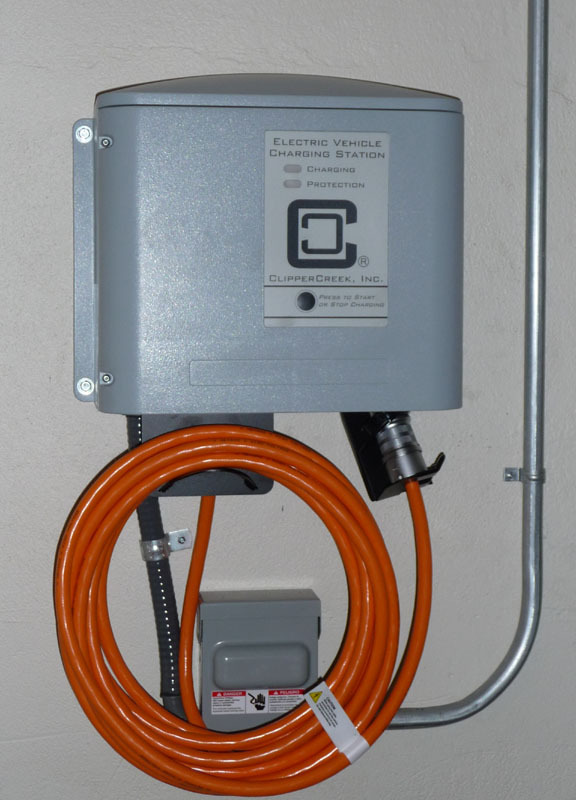 Our charging box is all installed but we still need the city utility inspection. However, looks like any day now, the adventure will actually begin.